Mobile operating system version fragmentation is usually referred to as an Android-specific issue, one that is not as painful for arch-rival iOS. What we have learned today is that another OS seems to be having a difficult time with the problem: Windows Phone 7. Yes, Microsoft’s mobile line has users spread all over the map, with only 33% of all handsets running the most recent consumer edition of the operating system. Shockingly, 19% of all Windows Phone 7 handsets are running the RTM edition of the OS that came out last September (now almost a full year old). 27% of all Windows Phone 7 handsets are running pre-NoDo builds. But perhaps most curious of all the facts that KnowYourMobile has recently compiled is that 4% of Windows Phone handsets are running Mango, meaning that 4% of phones in the wild are either in the hands of developers, press, or Microsoft employees with early access. That is a larger percentage than we would have anticipated, and perhaps points to continuing consumer weakness for WP7. The information that explains which handsets have proved the most popular thus far confirm what we have long known: The Focus and the HD7 are the top of the roost. Finally, we disagree with the placing of Windows 8 after Apollo (Windows Phone 8). 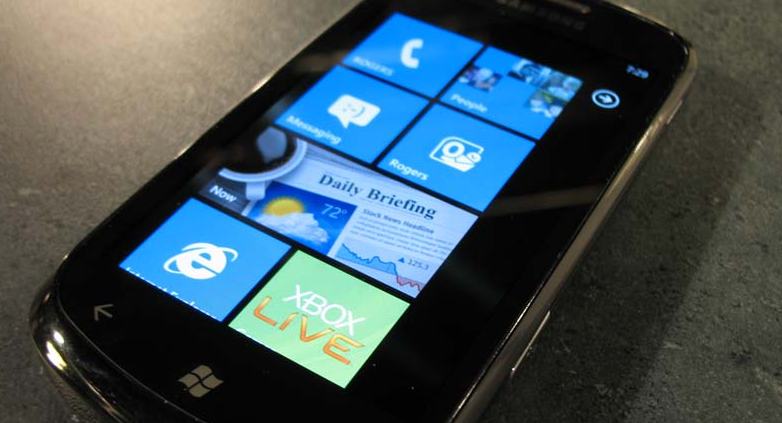 Microsoft has not indicated that Windows 8 is in any way connected to Windows Phone, expect perhaps as a co-recipient of the ‘Metro’ design aesthetic. The graphic does show the proper progression of Windows Phone versions, however: RTM, NoDo, Mango, Tango, Apollo. You can read our hands-on review of Mango here.